Even though the new Jeep Unlimited is longer than the standard TJ model, with 10 more inches of wheelbase and more than double the cargo space, it’s still a bit tight inside if you have a few passengers and a full load of gear. 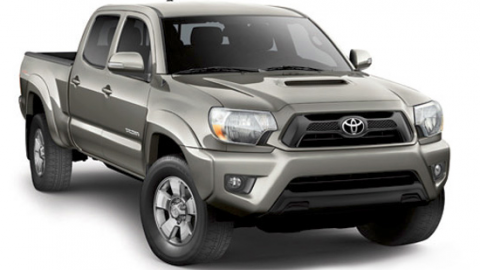 For those extended off-road adventures, you’ll need a place to keep all your stuff. Since saddlebags for this trail-worthy steed are out of the question, you’ll need to look skyward — literally, for more storage space. 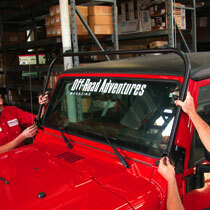 That’s where the ORU (Off Road Unlimited) can be of help with its Defender Series roof rack. Made of 14-gauge, one-inch tubular steel, powdercoated to protect against corrosion, this rack mounts over factory Jeep soft and hard tops, but without touching the roof. 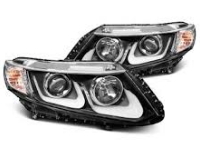 It attaches to the front windshield hinges and rear taillight housing holes. 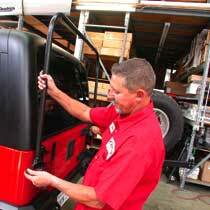 It also can be quickly unbolted in the front to hinge backward for removal of the Jeep hard top. The optional basket, made of 16-gauge one-inch tubular steel, can be ordered separately and installed as needed, depending on your cargo setup. 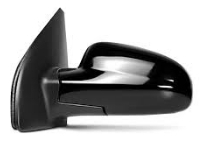 The aerodynamic design with chamfered tie-down holes has low wind resistance. 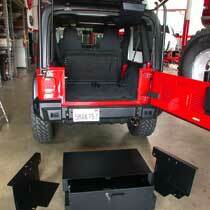 Also, the four welded light tabs and integrated flooring make for a versatile storage setup. 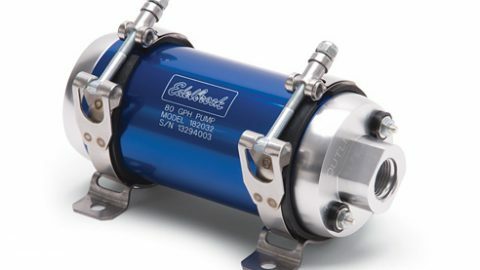 This system is available for a variety of trucks and SUVs, in addition to the Unlimited Rubicon. Whatever type of vehicle you own, one thing you can never have too much of when you’re headed off-road is plenty of places to keep your stuff. 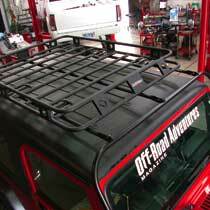 ORU Defender roof rack with basket and mounting hardware. 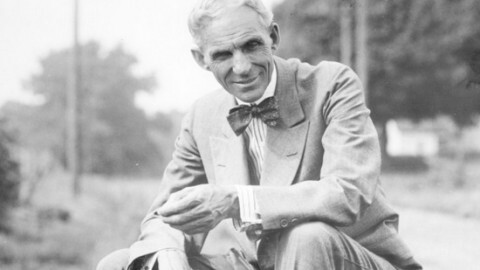 All of the components are one-inch, tubular steel and either 14- or 16-gauge. 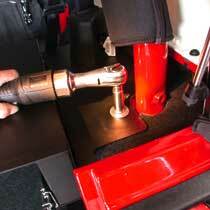 That includes a Hi-Lift Jack, a useful tool for when you get high-centered or need to change a tire. We mounted one on the ORU roof rack to show how it attaches, along with a set of Pro Comp lights to illuminate your way on a dark trail. 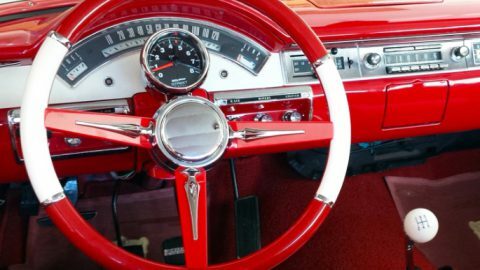 For secured storage space, especially if you have a soft top, Tuffy Security Product’s solution is a lockbox that mounts behind the rear seat. 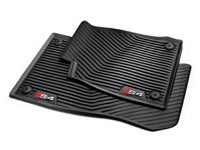 It can be installed either directly on the floor or slightly elevated for open storage underneath. This tough metal box has all the security features Tuffy is known for, including the Pry-Guard II locking system and heavy-duty roller bearings. After removing the four Torx bolts from the top half of the driver’s side windshield, place the ORU roof-rack bracket on top and secure with bolts, washers and lock washers. Leave the bolts loose until all four are in place. 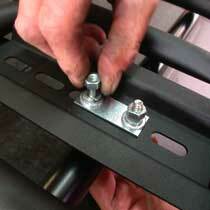 Once both brackets are installed, place the roof rack on the brackets and bolt in place. 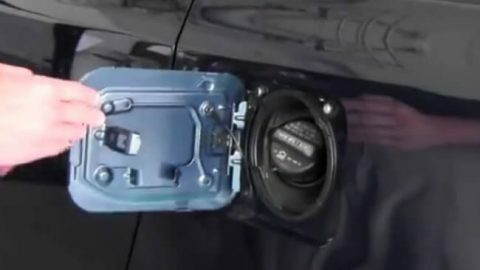 At the rear taillight housings, remove the four screws that retain the lens, and the three screws that attach the housing to the body. 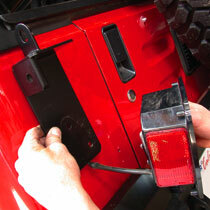 Position the ORU rear bracket between the taillight housing and body, and secure with original hardware. 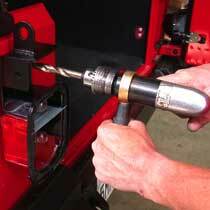 Locate a half-inch hole in the new rear bracket to use as a drilling template. Mark and drill a smaller pilot hole, and then enlarge to a half-inch. Then reinstall bracket and housing. Insert the bushings and metal sleeves into the hoops. Then apply a bit of silicone where the left and right hoops join together, and then insert one end into the other. 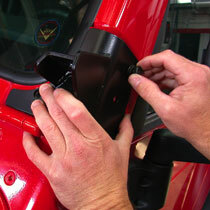 Place the rear hoop in place and secure with bolts. Install bars on the roof and tighten securely. With a little help from a friend, pick up the basket and place on top of the Jeep. (If you plan to add lights, you may want to do that before installing the basket, but we chose not to in order to keep the products separate.) 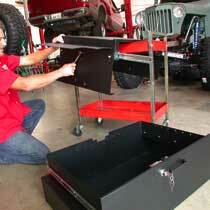 Attach the basket with the U-bolts, washers and lock washers. The finished rack looks good and is plenty strong for holding all sorts of stuff for your next long-range off-road adventure. The Tuffy lockbox comes with two mounting flanges. 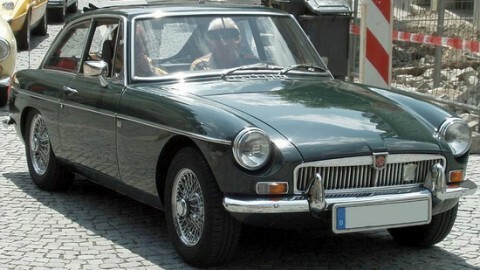 First the factory seatbelt hardware needs to be removed. Then remove the drawer and bolt on the mounting flanges. Install the outer shell in the cargo area with the mounting flanges attached. Because of the thickness of the carpet, we added some spacers and used slightly longer hardware. With the carpet removed, you can probably use the factory hardware instead. 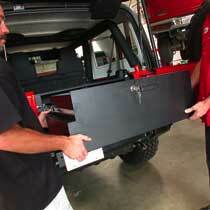 Simply slide in the drawer and now you have secure, lockable storage in your Jeep. You can mount the box so there’s some storage underneath as well, or place it flush on the floor. The roof rack has four tabs for mounting Pro Comp auxiliary lights. 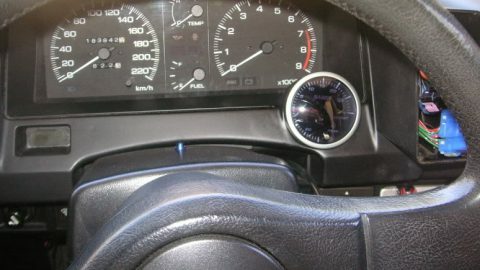 The lights come with a switch to mount on the dash, along with wiring connectors and zip ties. 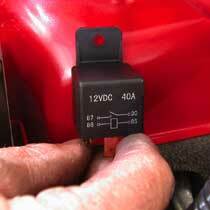 The circuit breaker mounts on the firewall or other location close to the battery. 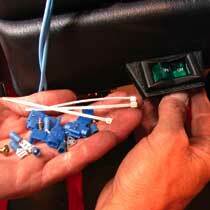 A wiring diagram indicates where to mount the fuse and other components. 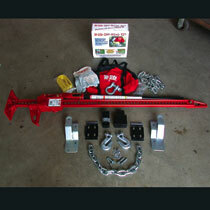 Components of the Hi-Lift Jack and Off-Road kit. 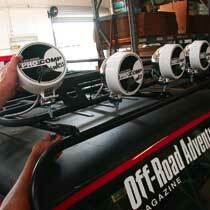 Mounting brackets bolt right onto the ORU roof rack. 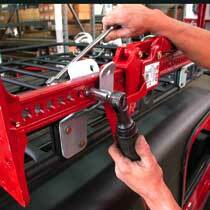 Then bolt the jack to the mounting brackets and make sure it’s snug before heading out. 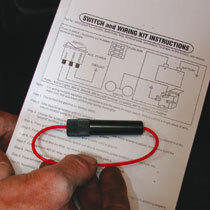 Of course, you’ll need to have a socket wrench with you to remove it. That way, when you decide to do some hiking away from your Jeep, you won’t have to worry about bears (or two-legged beasts) ransacking its contents.